Cuban physician Doraisy Perez have been waiting for the last two months. Out of a job since her country's withdrawal from the Mais Médicos programs, she is waiting to apply for any still available spots in the program, while she sends resumes and waits to hear back from private companies. "I don't want to go back; I don't even have a way to take all my stuff back to Cuba," she said. Perez applied in December to be granted refugee status, so she could receive a work permit and other documents, as mandated by Brazilian law. She was motivated by the fear of losing her work visa with the end of the Cuban partnership and president Bolsonaro's suggestion that he would grant asylum to the Cuban doctors who would like to remain in Brazil. She's not the only one. Data from the National Committee for Refugees show an increase of refugee status applications from Cubans in the last two months. In November, the Committee received 321 applications; the following month saw 400 applications. The December number is almost double of some previous months when the applications varied between 146 and 257 per month. The Committee didn't disclose how many of those requests came from physicians who worked at Maias Médicos, because the applications are under secrecy. But officers from the Ministry of Justice who talked to Folha off the record say that the end of the Cuban contracts was a factor in the increase. 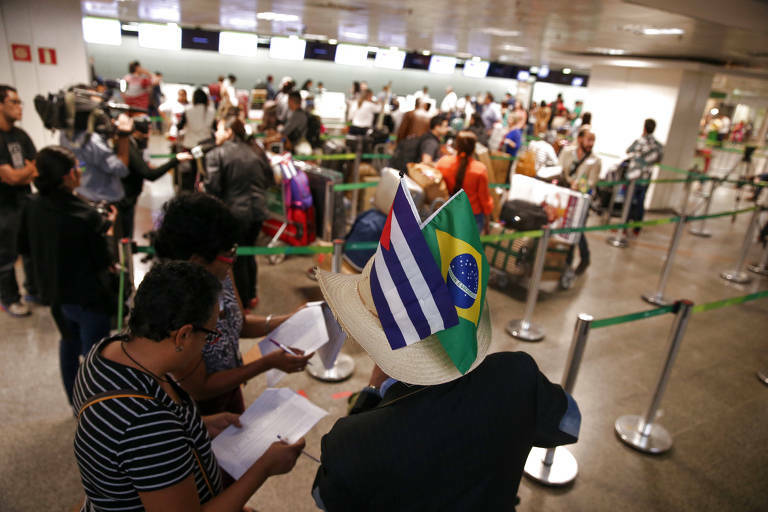 The law says that people who fear being persecuted for reasons of race, religion, nationality and political opinions in their countries of origin can apply for refugee status in Brazil. The process can take up to two years, and until then, applicants can't be deported and are eligible for documents like work permits. But physicians are only allowed to practice medicine after passing a revalidation exam in Brazil.